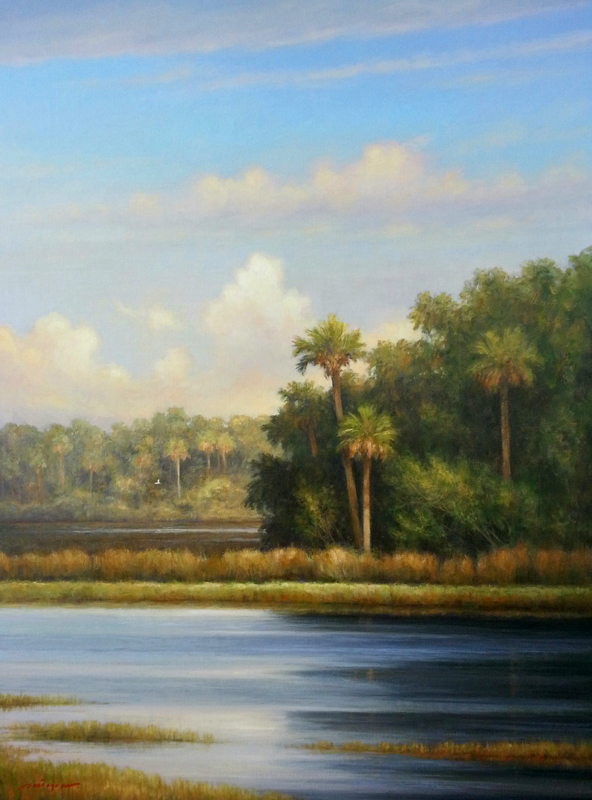 In this latest work from the studio, Peter has captured the soft afternoon light as it falls across a palm hammock near Canaveral National Seashore. 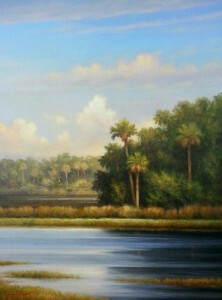 “Black Point Palms” is a 30×40 vertical. Please contact the studio for more information. You are currently browsing the Peter Pettegrew blog archives for October, 2013.